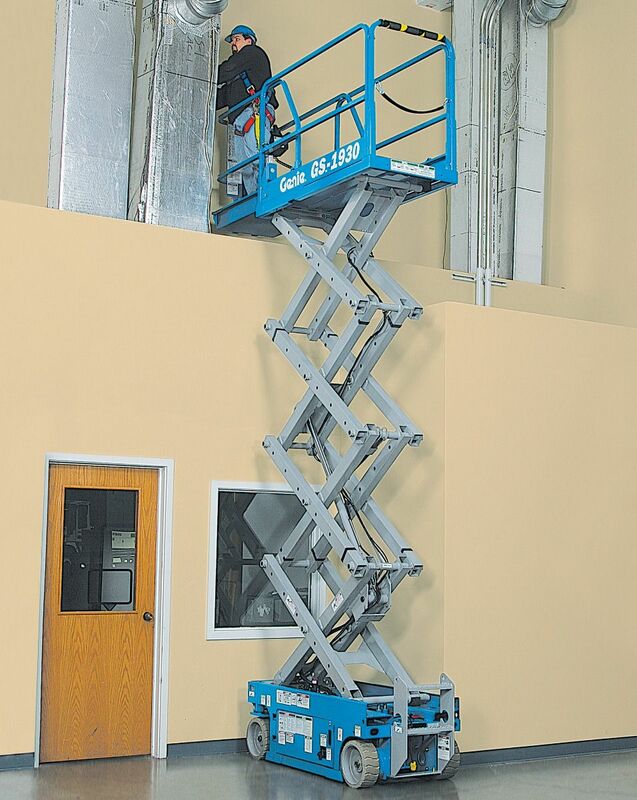 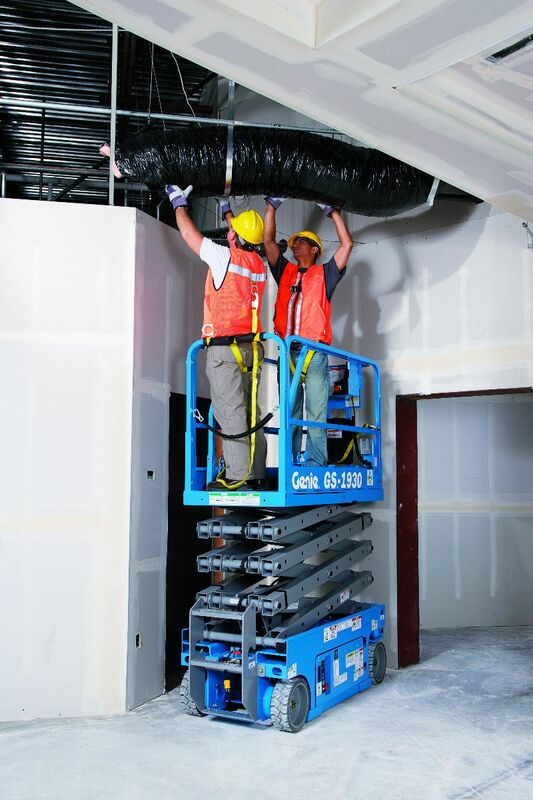 A popular electric scissor – for indoor use only – that can lift two people with tools to working heights of up to 7.6m. 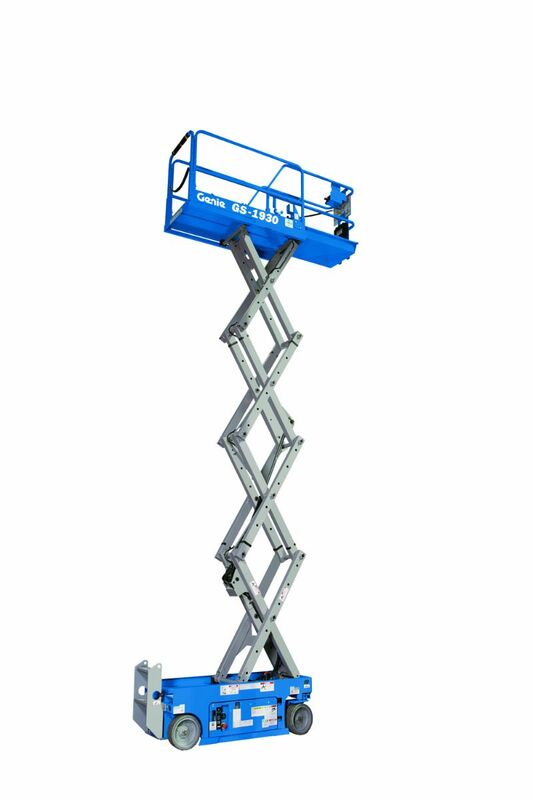 The zero inside turning radius and front-wheel drive deliver superb manoeuvrability, while the Genie GS-1930 is also durable, robust and easy to maintain and troubleshoot. 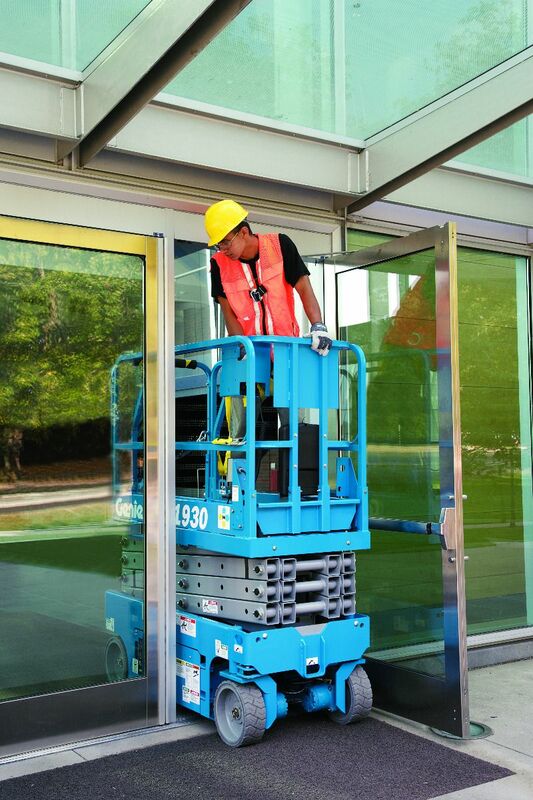 Ideal for internal construction, industrial and facilities maintenance applications.